Posted on 25, May 2016 by EuropaWire PR Editors | This entry was posted in Education, Society, United Kingdom and tagged 11th annual ¡Vamos! Festival, Junot Díaz, Newcastle University, Nik Barrera, Pulitzer Prize winner. Bookmark the permalink. NEWCASTLE, 25-May-2016 — /EuropaWire/ — Pulitzer Prize winner Junot Díaz returns to the UK in June to give a public lecture at Newcastle University as part of a festival celebrating Latin and Lusophone culture. The author will give the free talk I will build a great wall: Immigration and Xenophobia in the Age of Disruption as part of a wider conference in honour of him organised by the University’s Centre for Latin American and Caribbean Studies (CLACS) – New perspectives on Hispaniola Past and Present on 8 June. The events form part of the 11th annual ¡Vamos! Festival. Junot Díaz won the Pulitzer Prize in 2008 for his first novel The Brief Wondrous Life of Oscar Wao, which tells of one family’s epic search for love in the aftermath of the murderous dictatorship of Rafael Trujillo. In 2015 a BBC poll of American critics declaredThe Brief Wondrous Life of Oscar Wao the best novel of the 21st century to date. His latest book, This Is How You Lose Her, was a New York Times bestseller and a finalist for the National Book Award. CLACS brings together students and staff across Newcastle University to support and promote research about Latin America and the Caribbean. Centre director Professor Diana Paton, said: “We’re really excited that Junot Díaz is coming to Newcastle at a time when questions about migration and border crossings are so important. As well as the public lecture at Newcastle University, Dominican-born Díaz will be hosting a Q&A as part of a Caribbean Supper Club held at ¡Vamos! Social; a new cultural and community hub in Newcastle city centre which will provide the new home for the eleven year old ¡Vamos! Festival. Founder of ¡Vamos! Social and Director of ¡Vamos! Festival Nik Barrera, said: “We’re delighted to welcome back Junot to the festival and our new home ¡Vamos! Social. Díaz has been active in a number of community organisations. He co-founded the Voices of Our Nation Workshop, a multi-genre writing community for writers of colour and collaborates with a number of immigrants’ rights organisations. 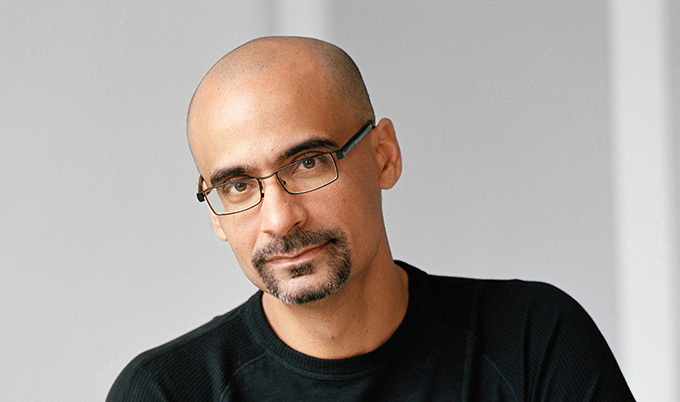 Junot Díaz’s public lecture will take place at 5.30pm in Newcastle University’s Curtis Auditorium in the Herschel Building. To attend contact Carolyn Taylor. The conference is free for Newcastle University staff and students and costs £8 for other students and £15 for members of the public.